Who is Sanford and Son Junk Cars? Sanford and Son Junk Cars is Powder Springs Junk Removal Company. We offer top cash offers and free towing for car owners living in Cobb County Georgia, with same or next-day scheduling, top-notch customer service, fast all cash offers. No two things go together better than us and your junk car. We know there are tons of junk cars all around Powder Springs, and we’re on a hunt to clean up this town and buy them all! Giving cash for junk cars is our business, and no other junk car buyer in Georgia comes close to the volume of cars we move. We hear you loud and clear when you say: “Show me the cash!” Give us a call today and we’ll do just that! We will buy all your junk cars, give you the most cash for those junk cars today, and make this a hassle-free transaction for you. We will not be beaten and you will not be disappointed. Search no more! You have found THE place to sell your junk car! We are Powder Springs top Junk Car Buyer! You won’t find a better, more professional junk car buyer in Powder Springs, hands down! Our customer service simply cannot be beaten. Title or no title, if you need to sell a junk car, wrecked car, old used car… Whatever junk you have, whatever the reason is that you need a junk car buyer, and regardless of the condition of your junk, even if it is without a title, we’re just a phone call away and we’ll buy that junk car and put some good fresh cash in your hand. You’ll make a friend in the junk car business who wants to earn your business and keep you as a customer. Let us prove to you why we are the most called upon junk car buyer in Powder Springs and all Georgia surrounding areas. We’ll give you cash today for your junk cars and prove to you why we are the best junk car buyer in Powder Springs. Not only will we give you the most cash today, we will also tow it away at no additional charge. Whether it’s one car or ten cars, we will take them off your hands hassle free. We rule junk cars, Powder Springs! That’s right Cobb County. Our mission is to buy all the junk cars in Powder Springs and surrounding areas. You help us and we will help you. The more junk cars we buy from you, the more cash we will be able to give you. It’s quite simple. The more money we make, the more money you make. So, tell all your friends and business partners who gives you the most cash for junk cars in Powder Springs! No hassles and no gimmicks. 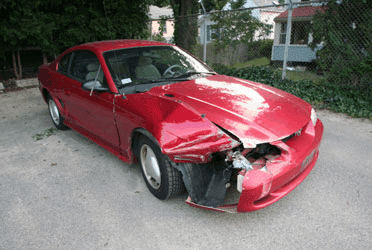 We will not be beaten and we hope you’ll give us the opportunity to show you how our friendly staff and professional business attitude are what make us the top junk car buyer in all of Indiana. So, don’t forget who your favorite junk car buyer is! Remember Sanford and Son Junk Cars of Powder Springs. Georgia’s BEST junk car buyer!